Meeting to vote for the funding of construction of the Meditation Chapel. Vote was unanimous, Sitting at the table are James E. Moore, Mrs. Shirley Hacker, Mrs. Mary Jo Parks, Bill Aiken, Dr. Robert R. Martin, Raymond Wilson, Ted Cook, Dr. J.C. Powell, J.W. Spider Thurman, and Donald R. Feltner. 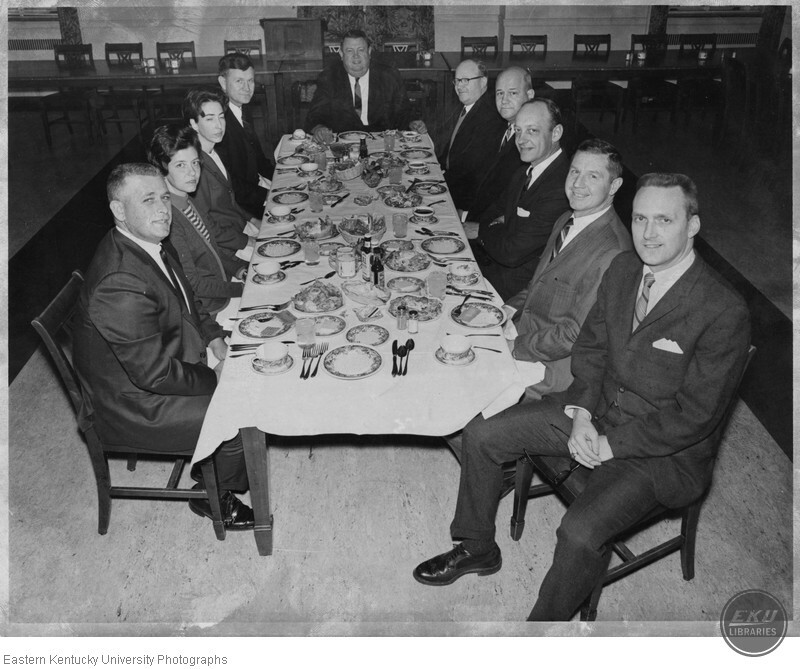 “Alumni Association Executive Committee,” Digital Collections, accessed April 25, 2019, https://digitalcollections.eku.edu/items/show/40726.